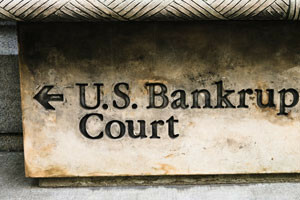 Chapter 13 bankruptcy can help you with your debt and financial problems. Chapter 13 bankruptcy is intended for people who earn a steady paycheck, but who are having a hard time keeping up with a mortgage, car payments or credit card debts. If you are facing bankruptcy and don’t know where to turn, enlist the assistance of Volman Law. We are an experienced firm that can help you navigate the complex process of filing for Chapter 13 bankruptcy protection. We can explain how filing for Chapter 13 may be able to help you. Contact a Connecticut Chapter 13 bankruptcy attorney at Volman Law at (203) 929-7771 to schedule a free initial consultation. Chapter 13 bankruptcy can help organize a hectic situation that often develops when you default on your debts. Instead of being harassed and sued by your creditors, Chapter 13 allows you to propose a plan in which you pay an amount you can afford, regardless of how much you owe. Chapter 13 offers another advantage: you do not have to liquidate your assets or pay back all your debt at once. Under your payment plan, you will pay back some or all of your debt over a period of 36 to 60 months. This also allows you to keep important assets such as your home or car, while helping you catch up on your payments and reclaim control over your finances. Chapter 13 bankruptcy matters can be effectively addressed with the help of a knowledgeable and understanding lawyer at Volman Law. Our entire firm is sensitive to the needs of those facing bankruptcy and can provide you with options for seeking resolution to your financial difficulties. Contact a Connecticut Chapter 13 bankruptcy attorney at Volman Law to schedule a free initial consultation.